The best sports bar in town. It's a great atmosphere for hanging out with friends and a great place to catch a game. Love the plasma TV's. 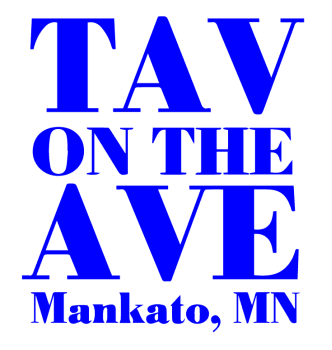 I love this bar - The Tav has been in Mankato for like 20 years. Awesome food, awesome drinks. The Tav is the only place to catch the game! ESPN SportsTravel writer, Ron Berler proclaims The Tav on the Ave is the "Best Sports Bar in Town" on his coverage of the Sports Destinations - NFL Training Camps in 2006. I love that The Tav has Fat Tire Beer! This is my favorite and will be coming in more often. Great place to come after work and watch sports on TV. I wanted to reach out and thank you for an excellent time on Saturday night. The food was fresh and always ready in a timely fashion. Your staff was AMAZING, Lauren was our primary server throughout the night and she was beyond Fantastic! I literally had every single person from the party tell me she was attentive and kept great track of all the orders flying around. She was patient with us too and very sweet whenever we had a request. Huge thank you and thumbs up to your team, as they were very on top of their game. You should be proud! We will be back again soon! Thank you again for all of your help in finalizing the party, it was a huge help!